Developing online training simulations may require a significant amount of time and resources, but are they really worth the investment? In this article, I’ll highlight the advantages of using online training simulations to improve on-the-job performance and enhance the productivity of your organization. Simulations have been used in corporate training for decades, in one form or another. While face-to-face role plays have been replaced by virtual activities, the overall aim remains the same. When all is said and done, employees must be able to carry out a task to the best of their ability to be as productive as possible. The question is: how can online training simulations boost employee performance and, more importantly, does it offer your organization the specific performance benefits you are looking for? Employees have the ability to see the outcome of their actions and decisions. Rather than having to explore the repercussions of their choices on the job, they can explore them fully within the online training simulation. Thus, they have more confidence when they do interact with clients or customers in their workplace. In essence, all of the risk is removed and employees are free to build their skills and expand their knowledge in a supportive environment. This also has a domino effect, as employees who are confident are more likely to be happy and stay with the company for a longer period of time. Another side benefit of online training simulations is that they are easily digestible. The employee can receive the information they need in just a few minutes, rather than sitting through a lengthy online training session. This shows that you respect and value their time and are willing to go that extra mile to keep them well informed. Offers immediate and applicable feedback. Employees gain immediate feedback from their instructors and the online training simulation platform, itself. Therefore, they have the opportunity to improve upon their weaknesses and capitalize on their strengths. This is why it’s essential to offer your employees periodic feedback throughout the online training simulation. In fact, guidance and constructive criticism should be offered as soon as possible to avoid future errors. This prevents incorrect information or improper behaviors from being committed to long-term memory. Instead, the correct knowledge is absorbed and retained for later use. Employees remember a fun and entertaining experience. If you offer them an interactive and enjoyable online training simulation, they are much more likely to remember the key concepts, due to the fact that they tie favorable emotions to the subject matter itself. For instance, if a learner finds an online training simulation both educational and humorous, chances are they will retain the knowledge more effectively and can apply it on the job. On the other hand, they will probably forget the information more rapidly if the online training simulation is boring or tedious. Employees can master the art of practice makes perfect. Repetition is the key to retention and task mastery, and online training simulations give your employees the ability to practice until they reach their goals. They also have the opportunity to explore the consequences of their actions and determine if an alternate path may lead to more favorable results. Essentially, online training simulations grant them the gift of experience. They can repeat key steps in the process, especially those that they may find challenging or complicated. By doing so, they have the chance to see how all of components work together and why each step is essential. Mistakes become invaluable training opportunities. Mistakes are, without a doubt, one of the best teachers. In fact, online training simulations are based in mistake-driven learning. If an employee makes an error they can immediately see what they did wrong and how to fix the problem. If they venture down an incorrect path, they have the ability to discover where it takes them and make changes that can alter that path in the future. All of these mistakes are learning opportunities that do not negatively impact the organization. Customer service does not decline and work processes are not interrupted, because the employee is benefiting from their mistakes in a virtual training environment. Gives employees the chance to try out new performance behaviors. There are times when your employees may want to try out new ideas or theories, but they are unable to apply them on the job. This is where online scenarios can be particularly useful. Online scenarios give employees a place where they can try out new performance behaviors and immediately view the outcome. They can experiment, so to speak, and determine where they may need to improve. There are no real world consequences or judgements. They can simply fine tune their work processes and skills without having to worry about effecting the company’s image. Reduces training time and cost. One of the most significant benefits of online training simulations for performance behaviors is that it reduces online training expense and time. Employees can actually acquire more information more rapidly because they are applying the concepts and interacting directly with the subject matter. Instead of just reading about the company policies they are acting them out in a virtual world. As a result, the cost of the online training is decreased because employees are spending more time on the sales floor and less time in the online course. Online Training simulations can also take the place of on-site instructors, especially if it is part of a comprehensive online training program. There is no need to cover travel and accommodation costs or room rental fees. All of those resources can go back into developing effective online training courses that benefit the organization. Online training simulations have a wide range of uses and can offer a variety of benefits. To ensure that you receive all of the rewards offered by online training simulations, make certain to research the needs of your employees and organization beforehand. Keep in mind that a thorough online training and task analysis can help you focus on what is truly important, rather than wasting resources on unnecessary online training activities. Thinking about investing in custom online training development? Read the article 5 Tips To Develop Custom eLearning That Improves Employees’ Performance to discover 5 tips that can help you create custom-tailored online training courses that achieve your performance goals. Now, It Is Time To Take Action: Create Your First Training Simulation For Free! In this article, we shared with you 7 advantages of online training simulations in employee performance. 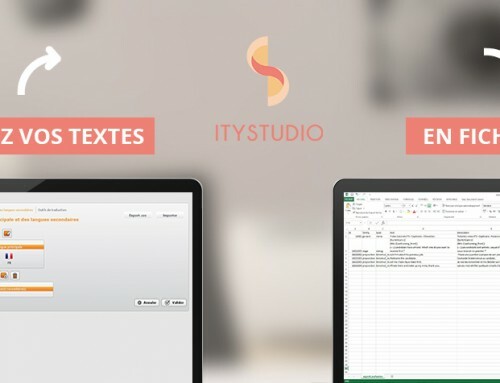 Now, it is time to put your knowledge into pratice: Create you first training simulation for free with our authoring tool ITyStudio. You will not get overwhelmed by all the technical stuff, as the pedagogical structure can be easily laid out through right click and / or the drag and drop system. Besides, everything related to webdesign is already done for you. The best part is the outcome: Learners do love interactivity, and you will be able to offer them plenty of it. Finally, your pedagogical results will be better as well. Start Your 15 Days Free Trial Here! I was not aware of this resource companies have in training their employees in certain tasks. I do enjoy the fact that employers have direct feedback from the simulator so they can better form the training to accommodate the needs of the employee. I wonder if this technology is available to all fields of work like heavy machinery and construction equipment. Simulators would greatly benefit fields of labor such as these. Hello Wesley, thank you for your comment. Indeed, we have customers from several industries, including technical ones. Thus, please not that our software is available to fields like heavy machinery and construction equipment. Our tool brings a real added value to this kind of training, because it is making the learning process way more interactive for learners, leading to better results. Hi Mark, thanks for your kind feedback. Really appreciate it. You mentioned how taking an online course means that there are no additional housing fees associated with going to school. This is a great way to get the education needed without the hassle of moving or commuting anywhere. If the student is taking an online class, they can look into flexibility to help complete the class around their work schedules. Indeed, Serious Games can be a great way of supporting schools with their teaching programs. This way, it enables students to follow the learning material at their own pace, whenever they want, as many times as they want. Thanks for this informative article.It’s Very useful. I learned a lot from your article. I am planning to apply for a job soon, this would really help me. Great article! I just learned a couple new concepts I was unaware of. Thanks for sharing!